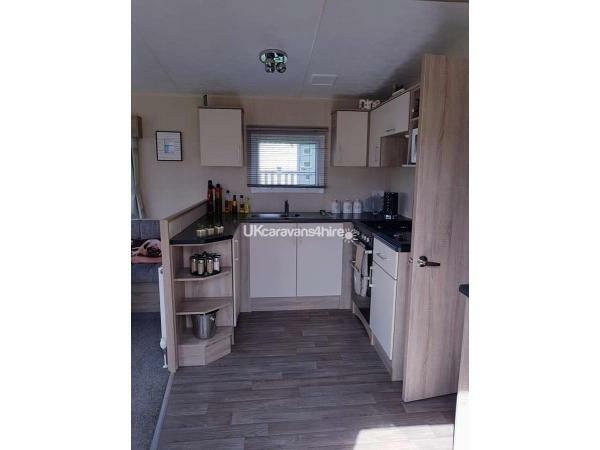 - Tarmac car parking space adjacent to the static caravan. 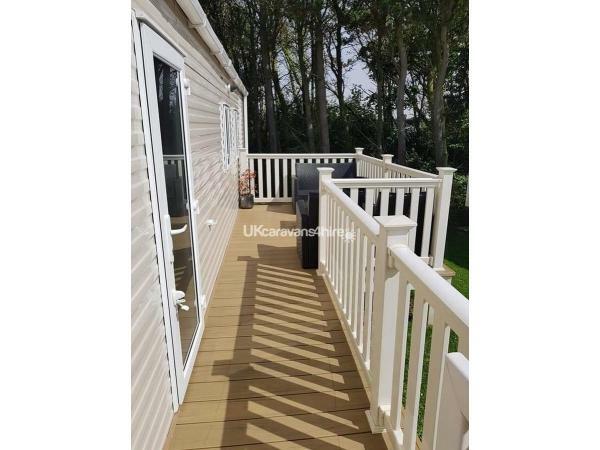 - Decking area with outdoor seating and solar lighting. 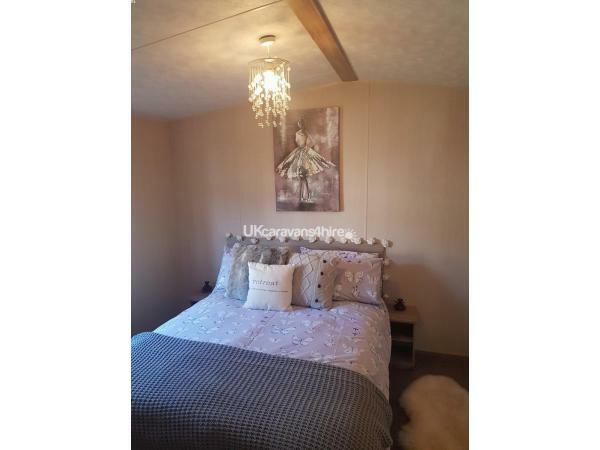 - 1 x double bedroom with en-suite toilet and sink, fitted wardrobes, bed side cabinets and dressing table. 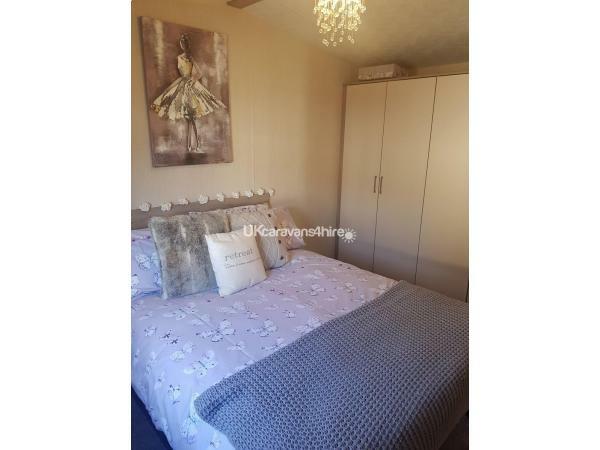 - 1 x 2 single beds, with small fitted wardrobe. - 1 x bathroom with toilet, sink and large shower. - We supply you with 2 x freshly laundered towels, 2 x hand towels, 2 x tea towels. - Complimentary hand soap, shower gel, 1 x kitchen roll, 4 x toilet rolls, and washing up liquid. - Complimentary fresh flowers, tea, coffee and milk on arrival along with a welcome pack. 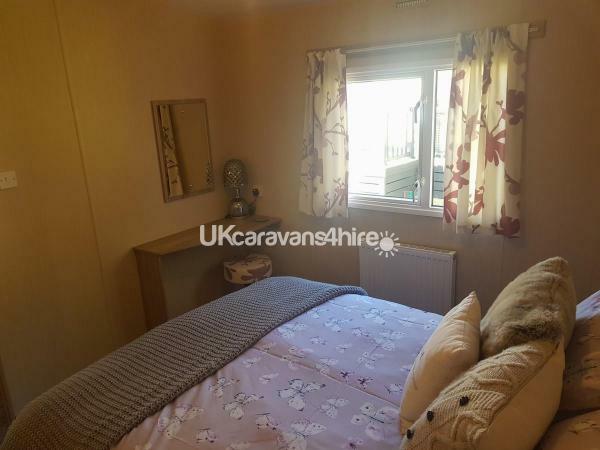 - The kitchen has a microwave, toaster, oven, fridge with small freezer compartment, basic utensils, plates, cups, glasses, pans and cutlery. 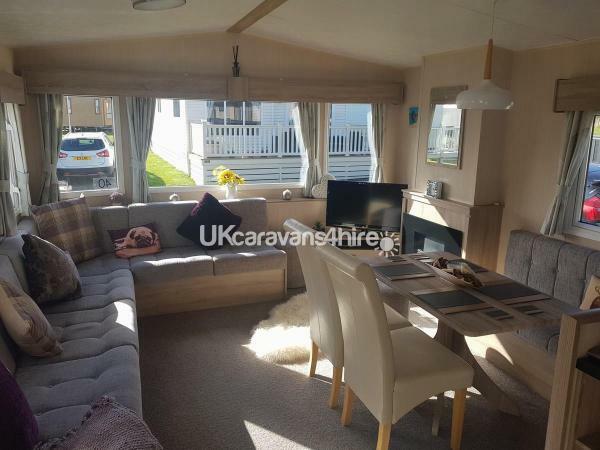 There is a dining area which seats 4 people and a large wrap around sofa. *Please state when enquiring if there is more than 4 people. * Entertainment passes for the facilities at Cayton Bay can be purchased from the reception area.